Learn how equine events support the tourism economy in Vermont! Phase 1 of our Economic Impact Study of the Equine Industry in Vermont is complete! We may be small, but our impact is significant. Read and share this information and be proud of equestrian support of Vermont's economy and landscape. Donate today to help complete Phase 2 of the study! Every dollar helps us gather this information, educate agencies, the legislature and helps us improve amenities, access and the equine business environment. Jane Jackson of Bookends Farm will sort out the facts from the fiction. Just what are positive reinforcement, +R and clicker training? Are they all the same? Does it really work? Does it mean we’ll have to spend the rest of our lives being mugged for treats? Or that our animals won’t do anything without a food reward? Jane will walk us through what Positive Reinforcement Training is and is not and help us understand how we can use it to improve our teaching and training. 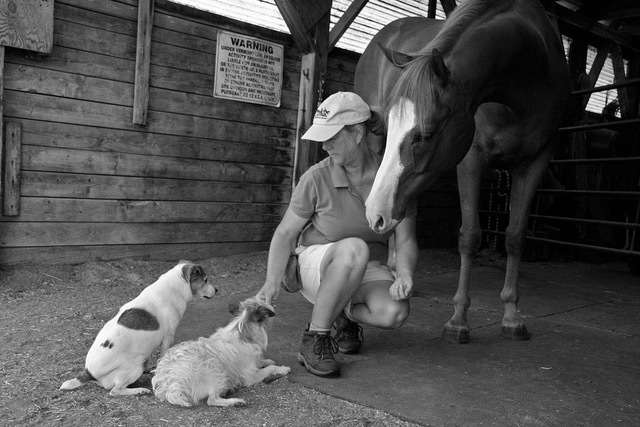 Vermont Horse Council members are invited to attend as part of their membership. This is the first of four educational events that are included in your annual membership. Non-members are welcome at a cost of $25.00/person. The funds collected will be directed to the VHC scholarship funds. Here is a brief look at what has been happening behind the scenes at your organization. Our annual Meeting was held at the Capital Plaza in Montpelier, VT on January 26th. There was great discussion about what was accomplished in the year along with a great slide show about Shore to shore presentation offered by Jean Audet – Sharing stories, adventures, stress factors, and photos from the multi-day ride across Michigan. Heidi Krantz for her role in driving the economic impact survey forward and her years as President and a member of the Board. Your new Board of Directors are: Sue Miller President, Michelle Grald Vice President, Secretary Diana Huntley, & Treasurer remains Nancy Palermo-Lee. New to the Board this year are Sharon Stearns & Amanda Lamoureux other Board Members are: Jean Audet, Gloria Bruce, Jeannette Cole, Jim Nickerson & Peter Otto. The first meeting was held at Northfield library on February 16th. With Sue Boyer, Diana Huntly, Jeannette Cole, Heidi Krantz, Jean Audet, Belinda Brown, and Amanda Lamoureux in attendance with Jim Nickerson and Sharon Stearns conference calling in. Goals for 2019 are to increase membership, drive up promotions of VHC in all media realms, try to link more state clubs to VHC, Trail mapping, 4 educational events listed below, increase scholarship funds, Economic Impact Survey, continue to have a voice in the legislature, 4th Equine Summit. Please note that the following changes are being proposed to the VHC bylaws. These changes will be brought before the membership at the January 26, 2019 annual meeting (the meeting will be held at the Capital Plaza, Montpelier, VT from 10 am - 3 pm). If you are unable to attend the Annual Meeting in person, officer voting may be mailed to the VHC Secretary (Sue Boyer, 274 Cascade Falls, Perkinsville, VT 05151). Please put your return address on the outside of the envelope. Envelopes will be validated for 2019 membership and then opened at the annual meeting for tabulation. Returning BOD members include Gloria Bruce (expires 2021), Jean Audet (expires 2021), Jim Nickerson (expires 2020), Peter Otto (expires 2022). The Vermont Farm Bureau has requested comment from you regarding their lobbying efforts. 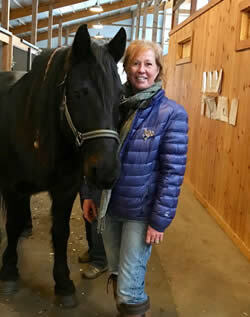 Kate Scarlott of Windhorse Rieki and Acupressure joined the Vermont Horse Council in Saint Johnsbury last weekend share her knowledge and passion for animal care with VHC members at our membership meeting. Hosted by Mielle Fox, owner of Willoughby View Farm, we learned about how Tucker Biokinetics Technique and acupressure help support and heal your hurting horse. The next VHC meeting is the annual meeting on Jan. 26 at the Capitol Plaza in Montpelier - check our website for details! VHC Board member was invited to speak at the Vermont Outdoor Recreation Conference, held October 10-11 in Fairlee, Vermont. She was part of a panel entitled, Multi-Use Trails: How to Keep Everyone Equally Pleased. Her co-panelists were Cindy Locke from VAST, Greg Western from the Cross Vermont Trail, Steve Lotspeich, Community Planner for Waterbury, and Walter Opusynski, Field Recreation Specialist from the Agency of Natural Resources. They met a few times before the session to discuss the topics that each of panelist would address in their 10 minute presentations. Walter moderated the session. Cindy discussed volunteers & partnerships, Greg discussed trail design considerations, Steve discussed planning, and Michelle discussed User Conflict. Questions were answered collectively later in the session. The session was extremely well received. It also helped us to establish stronger relationships with the other panelists, who are all good people to know. Already, two tangible opportunities have come from this exercise. Walter asked VHC to participate in a visit to the Fosters Trail in Waterbury to determine ways to make it open and safe for equestrians, adding to the trail system in that area. Also, Greg has offered to mentor VHC on some trail construction in Barre and Groton next summer, and he has offered to come and look at the Ascutney Trail Around the Mountain with his multi-use trail design viewpoint. Michelle hasoften shared that it is really important for equestrians to take our seat at the table in the outdoor recreation community and make our presence known - not just for the Vermont Horse Council as an organization, but for each of us as individual users of trail resources. Organizations such as the Vermont Mountain Bike Association and VAST are successful in part because of local "boots on the ground" around the state. Help VHC build its trail support system by volunteering to attend meetings and help with local projects. Please contact the VHC at vthorsecouncil@gmail.com if you'd like to learn more about how you can help with trail related concerns such as access and maintenance. 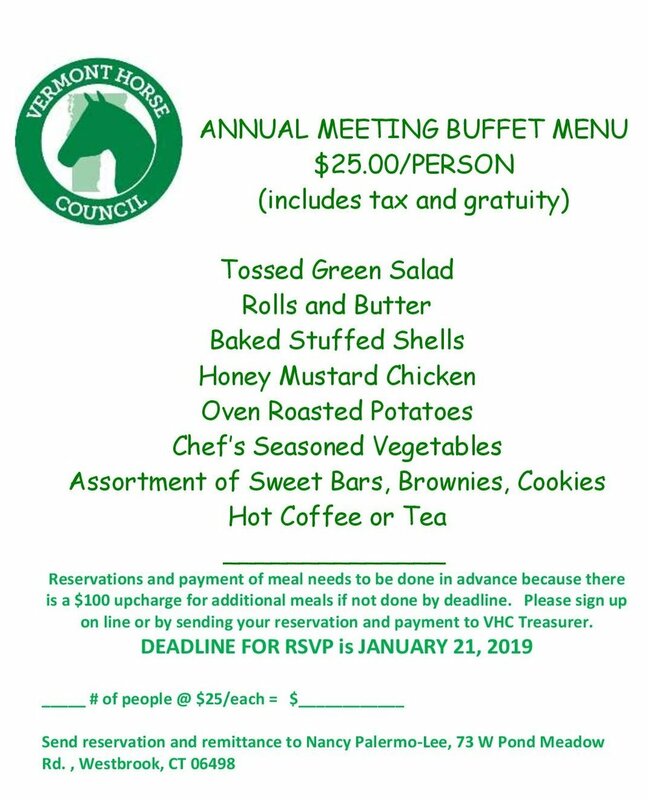 The Vermont Horse Council Annual Meeting will be held on January 26, 2019 from 10 am - 3 pm at Capital Plaza in Montpelier, Vermont. Please save the date. More information regarding the agenda and cost will be forthcoming, but we wanted to be sure this date was reserved on your calendars. According to official by-laws, a meeting warning letter will be coming out in December 2018. "Tucker Biokinetics Technique" (TBT) was created by Dr. Renee Tucker, author of 'Where Does My Horse Hurt'. Dr. Tucker is a veterinarian certified in acupuncture and chiropractic. She developed TBT after seeing chiropractic adjustments not holding, requiring repeated treatments, and sometimes not addressing the primary issue(s). TBT is an energetic alignment modality which works by connecting with Biokinetic Masterpoints. TBT "informs" the neurovascular, musculoskeletal and other systems that the new alignment is taking place. Thus, muscle memory is eliminated, saving repeat misalignments and repetitive treatments. The work of both TBT and Acupressure are to get to the core of what is causing a horse or other animal's movement restriction, illness, emotional imbalance or other health issues and to fix it to the greatest extent possible. Both techniques are gentle, safe, and very effective and engage and work with the animal's powerful ability to heal itself, which brings lasting healing at all levels -- emotional, physical, mental and in the spirit." TIMES: Meeting from 10:00 - 11:30 am; lunch from 11:30 - noon; event from noon to 2:00 pm.